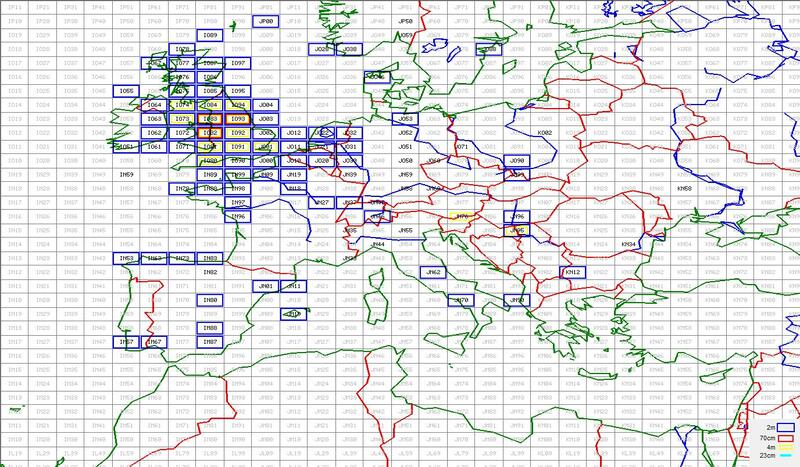 I found a useful little program called WorkedGrids. 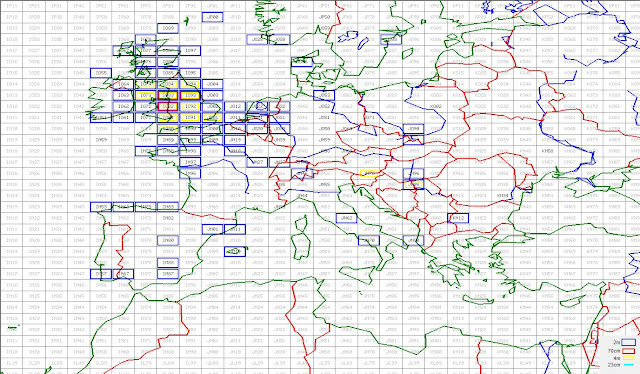 It is a program that produces a basic map of your zone eg europe with all the IARU grid squares marked. It marks each square you have worked with a colour box depending on which band you worked that square. It is fully configurable and works by reading a computer logbook program ( I use WinLOG32 by Colin G0CUZ) adif file. It is ideal for keeping track of what squares you have worked both all time and per year.